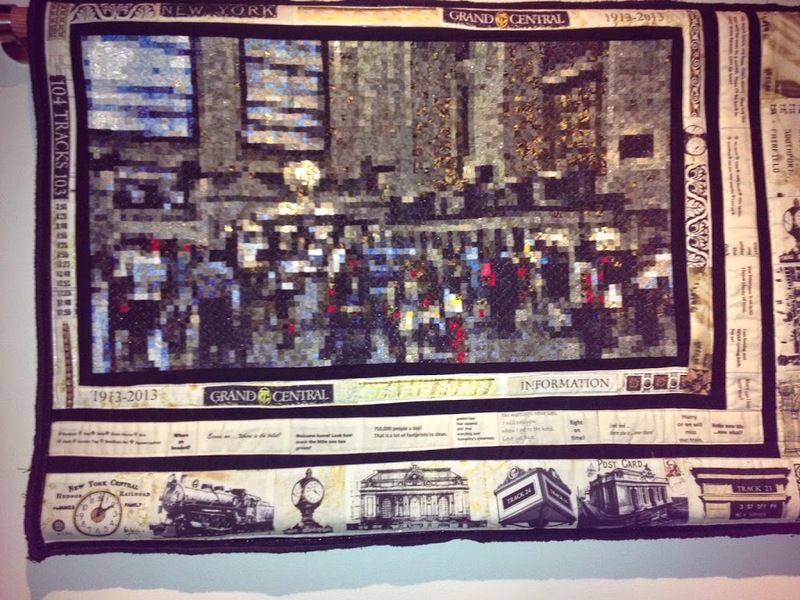 http://www.grandcentralterminal.com/event/grand-central-centennial-quilts/2145433659 — at Grand Central Terminal. 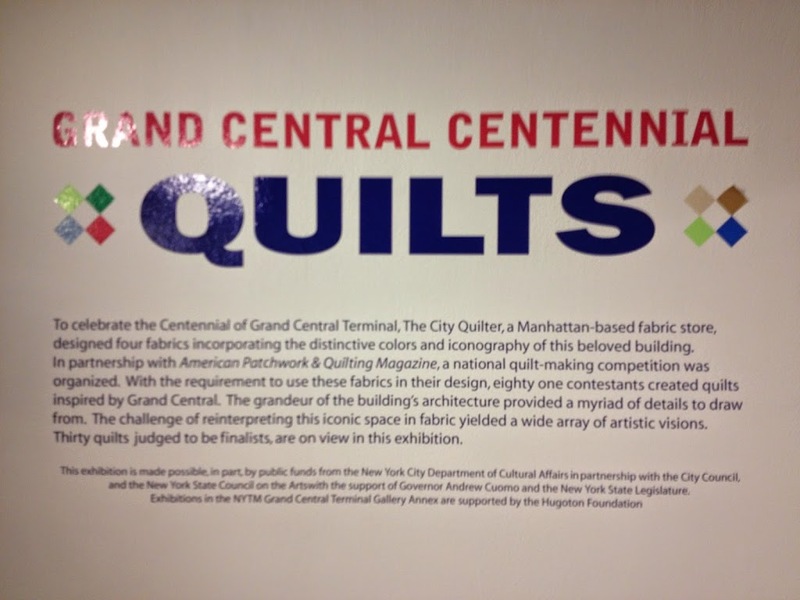 If you’re in New York between now and July 6th, this is a must see exhibit. 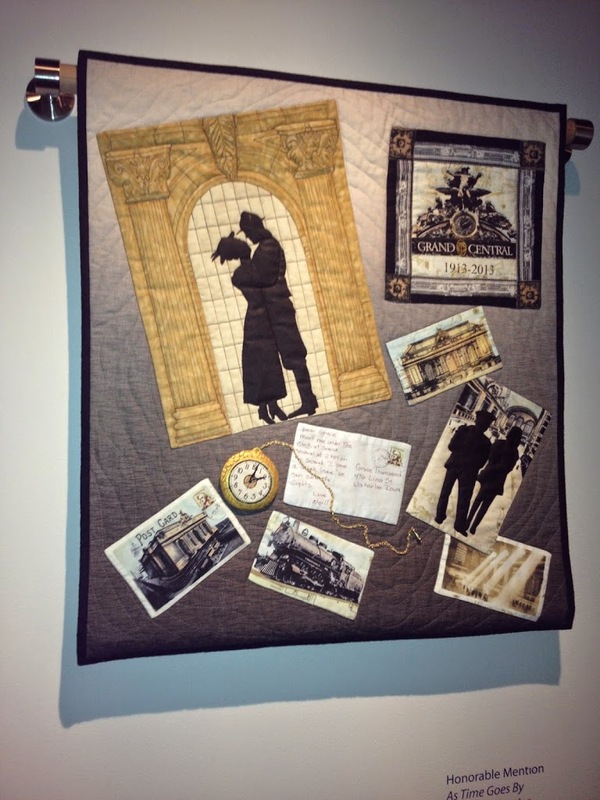 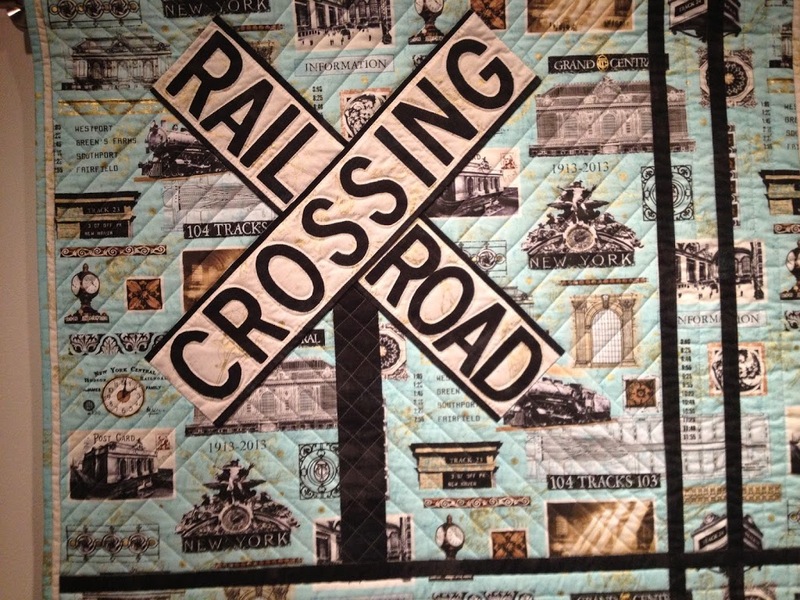 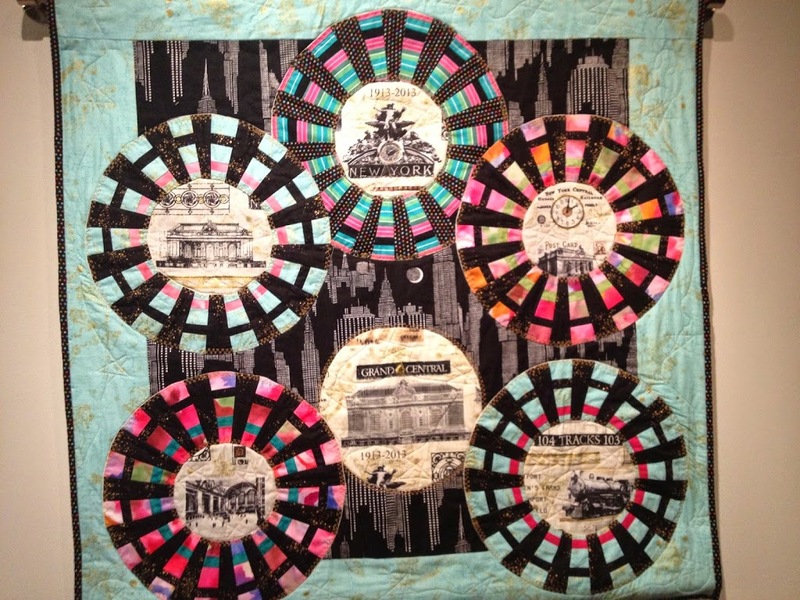 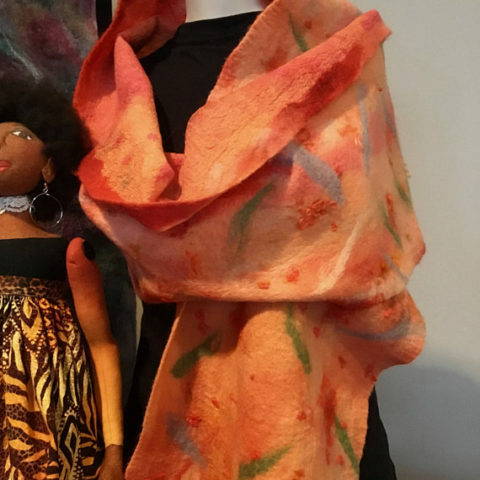 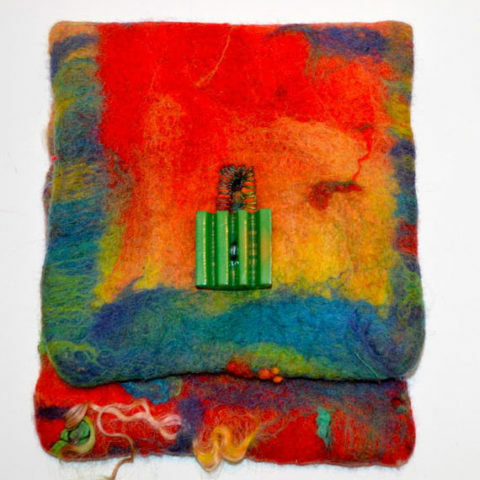 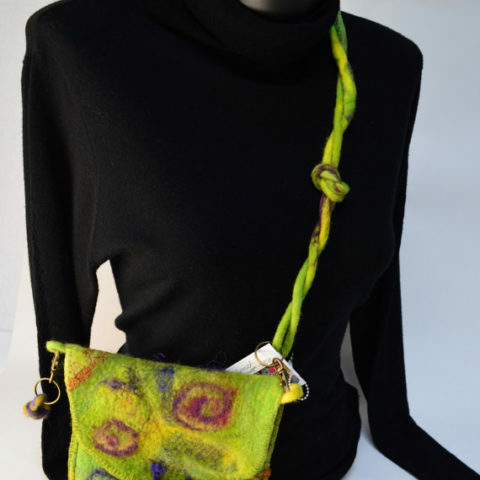 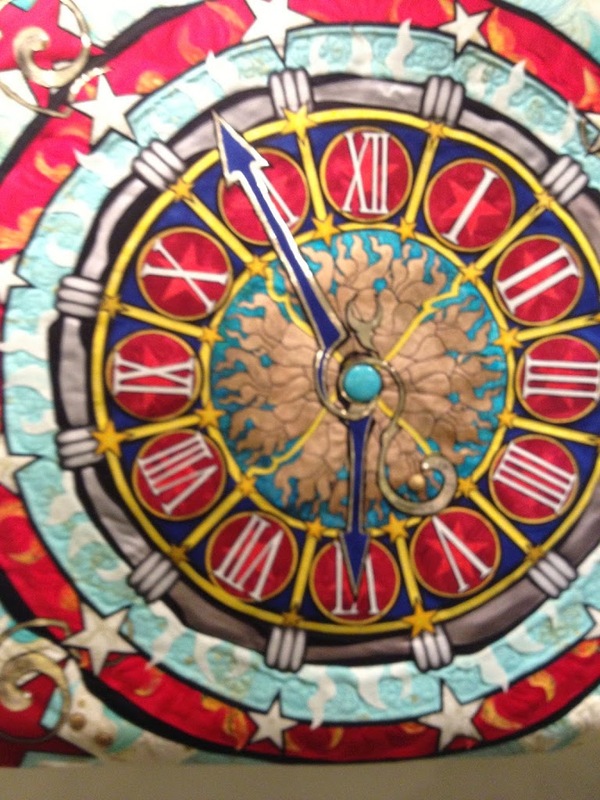 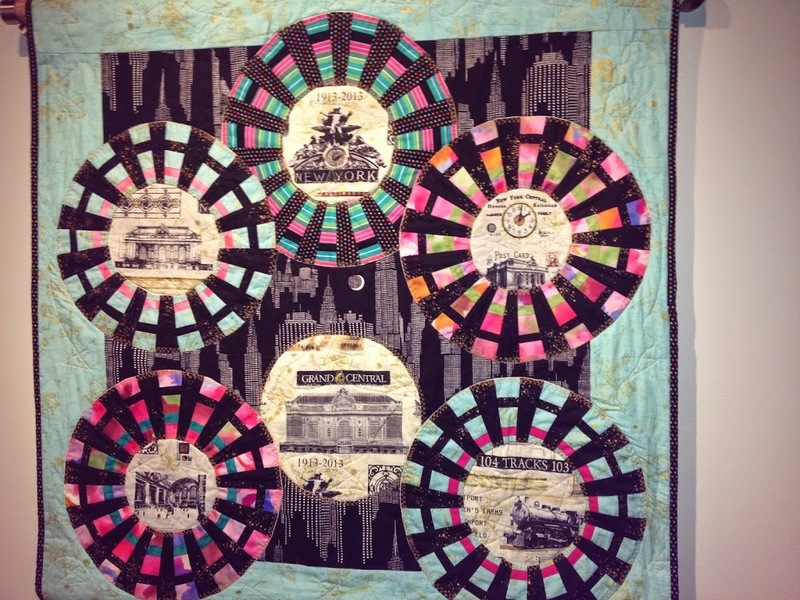 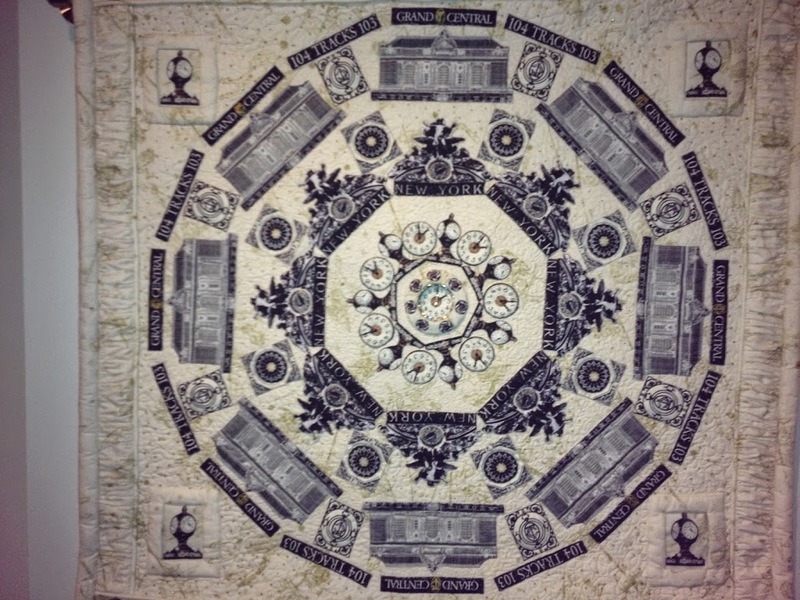 In short, it shows the creative work of many quilt artists who participated in this challenge to use fabrics designed by “The City Quilter” to reinterpret “Grand Central” in fabric. 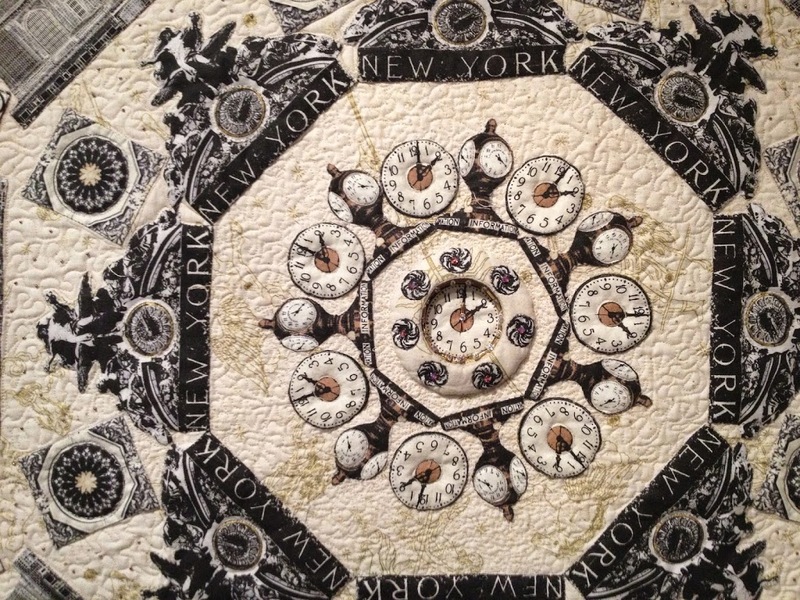 The City Quilter partnered with American Patchwork & Quilting to sponsor this national contest. 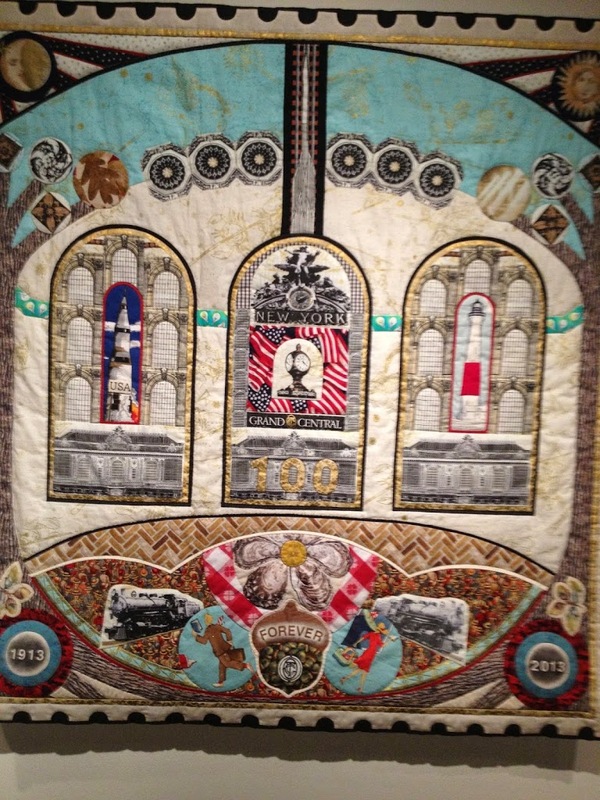 The photos below, by no means, do justice to the intricate work portrayed in these quilts, and only seen up close. 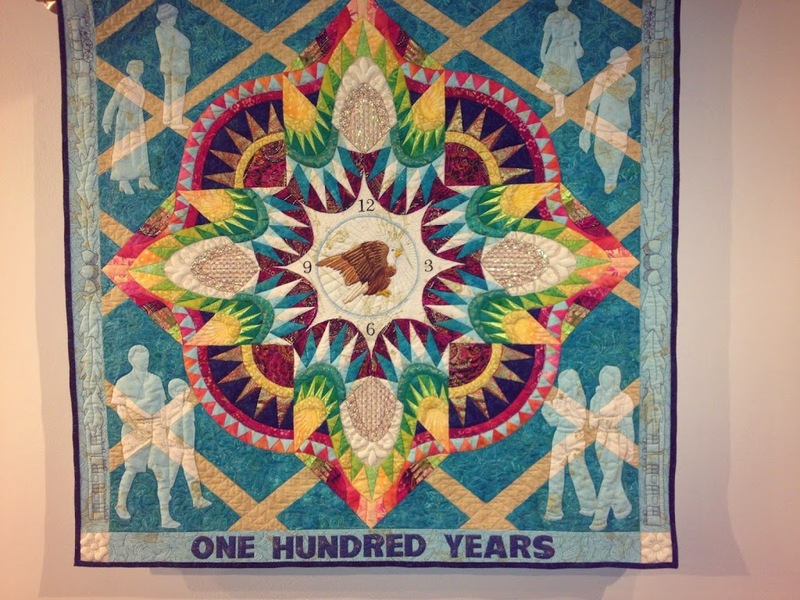 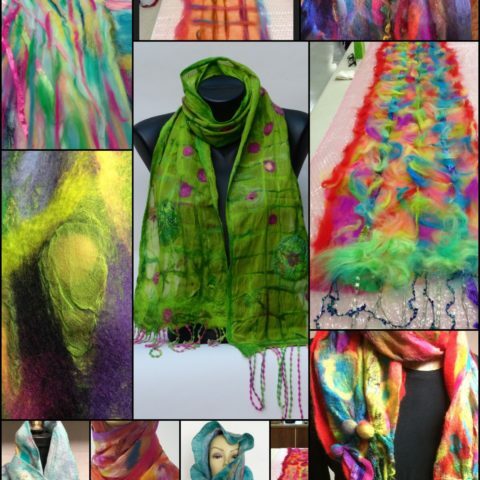 Below are a few of my favorites from the exhibit.